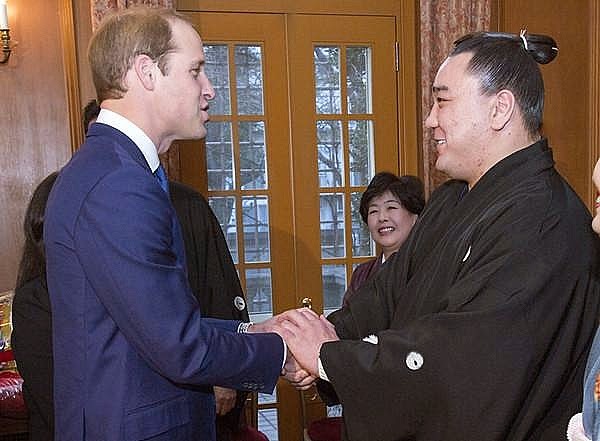 Harumafuji (Mongolian name: Davaanyamiin Byambadorj), previously known as "Amaa", met Prince William last Friday, 27th February 2015, in Tokyo. 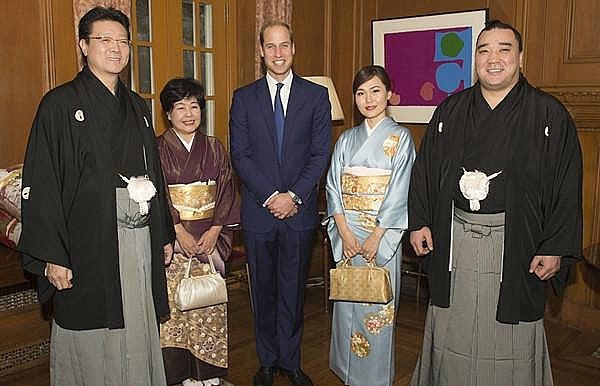 Prince William is a fan of the great Mongolian sumo wrestler, who is at the top Yukozuna level. Amaa's Mongolian wife, Battuul, also attended the meeting as well as the Stable Master, Isegahama, with his Japanese wife.